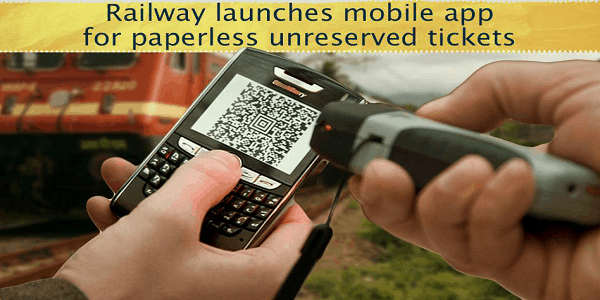 Moving ahead in line with digital India, Indian railways launched a mobile application for paperless unreserved tickets. 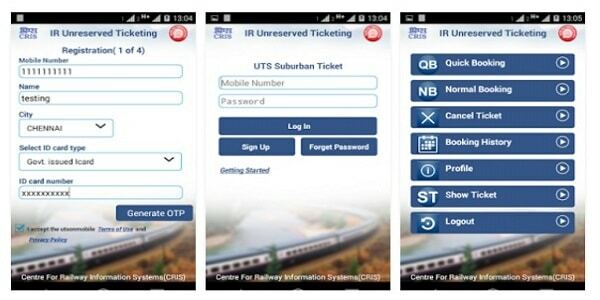 Developed by Centre for Railway Information Systems (CRIS) “utsonmobile” – the paperless unreserved ticketing feature in mobile application aims to eliminate the need for printing of unreserved tickets. The app had been initially designed for South Indian cities but has been expanded to New Delhi, Mumbai, Secunderabad, Chennai and Kolkata. Unreserved Paperless Mobile Ticketing supports Android and Windows operating system available in Google Play Store and Windows Store respectively. Once the application is downloaded and installed, passenger has to register his mobile number through his smartphone or by visiting www.utsonmobile.indianrail.gov.in. After downloading Utsonmobile, a passenger has to register his/her mobile number through the smartphone or by visiting the website. The R-Wallet can be recharged either at any of the UTS counter or through recharge option available in the website. Currently, Paperless Ticket can be booked for Journey Ticket, Season Ticket and Platform Ticket. Platform Ticket booking is allowed for some selected stations only. No advance ticket booking is allowed i.e., the journey date will always be the current date. Ticket will be delivered in the mobile application itself. Whenever Ticket Checking Staff asks for it, the passenger will use ‘Show Ticket’ option in the app. The mobile should be GPS enabled and once booked the ticket cannot be cancelled. There are some key points to be kept in mind while registering for the service. The mobile number entered during registration should be the same as the one being used while booking tickets. Mobile number will always be used as user id by default for login purposes. The city entered will be used to customize the application during booking, to show the source station for the passenger. You can find more information about the stations list here.